So how can you use digital marketing tools to get in on this action and reach a wider audience? We’ve gathered a few of our favourite tools for beginners and provided some examples! Google Trends is exactly what it says on the tin; a Google digital marketing tool that analyses search results and shows existing trends. Using this information, you can see which topics are hot, how popular your company’s sector is, where the most searches for a certain topic are and a plethora of other useful, data oriented results. 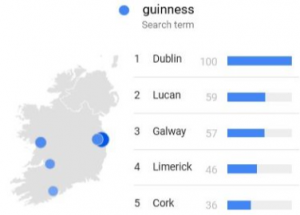 For instance, did you know that Lucan is the second most popular place for ‘Guinness’ to be searched for in Ireland? Well, thanks to Google Trends, now you do. If you haven’t heard of AdWords Express by Google, you really to need to get yourself into the 21st century. It’s Pay-per-Click (PPC) system makes it accessible to both large and small budgets, and it’s easy interface enables anyone to make their own ad. 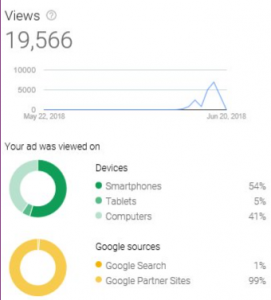 Google even provides you with insights, such as views, clicks and popular keywords used to find the ad. Though it takes time to successfully tailor your ads to your desired audience, it is a skill worth having in your arsenal. Paired with AdWords, Google Analytics is particularly insightful, allowing you to dig deep into your website’s activity. Use it to see how many people view your site, where they’re located, what keywords drive traffic, bounce rates, where dropouts occur etc, etc. It’s cumbersome at the start, but once you get the hang of it, it will prove to be of great benefit to your digital marketing campaigns, as you see what you’re doing well and not so well. Bonus Tip: use the ‘Referrals’ (under ‘Acquisition’) tool to gather what websites or links your users are coming from; this will allow you to see what content your audience likes best. Breaking away from the Google tools, social media platforms are an excellent, and often free, form of digital marketing that allow you to reach audiences specific to your company. The likes of Twitter and Facebook are great for getting to know your audience and adding a personal side to your business. Facebook goes even further and provides an ad service (you might need some tips for Facebook Ads, it’s a bit tricky) which is extremely direct and focused towards the people you choose, often yielding great results. Elsewhere, LinkedIn is best at facilitating networking, advertising to business professionals and sharing blog-posts of your choice. Whichever one(s) you pick, if managed well, your following will grow, which could turn into profitable leads. Lastly, but certainly not least, Trends 24 allows you to see which Twitter topics are trending. Not only is this beneficial for your social media posts, it’s also an insight into what people are interested in. If you could tailor your ads, services or products to this, it would help to better meet the needs of consumers. As a digital marketing tool, it’s one of the simple ones to use; click into the site and everything is displayed in front of you. 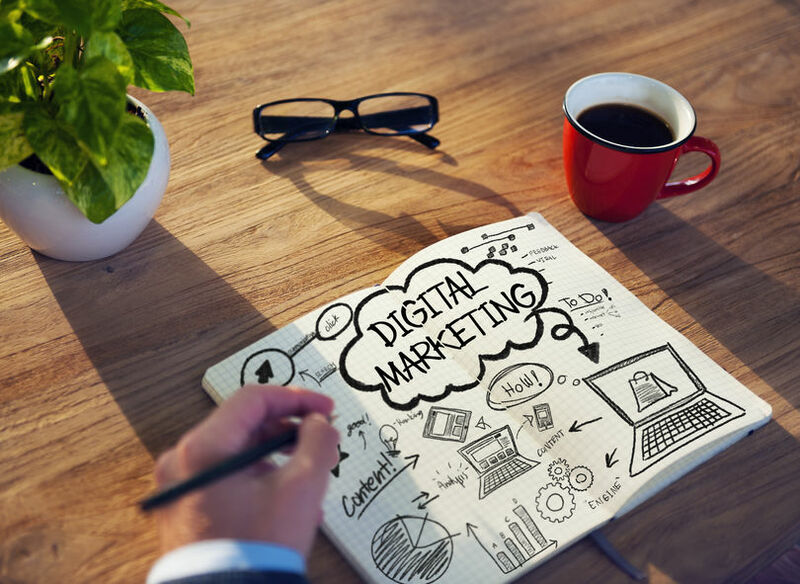 To conclude, there are many digital marketing tools which can help you with your marketing campaigns. Some are easier than others to use, and the aforementioned ones won’t be enough if you want to truly and deeply penetrate the market and compete with the market-leading companies. However, they’re as good a start as any. 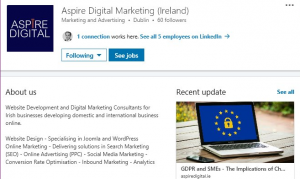 If you wish to upgrade from these or perhaps have experienced professionals optimise the digital marketing strategies you have set up, Aspire Digital in Dublin are always happy to assist.